There was quite a bit of drama in the farm system of the New York Yankees this past week. 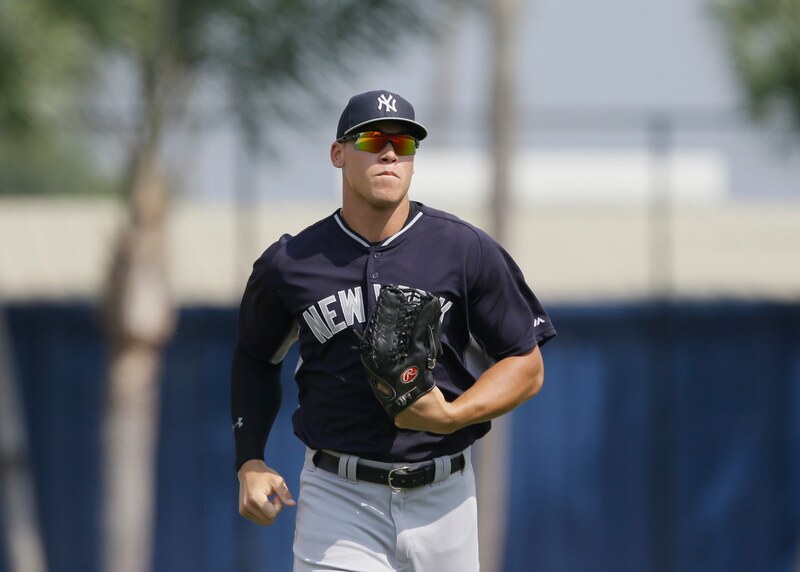 We learned that outfielder Aaron Judge went on the disabled list with a mild PCL sprain and bone bruise on his left knee. The injury is expected to keep Judge on the sidelines for at least three weeks. The other setback was the suspension of shortstop Jorge Mateo. The Tampa Yankees’ star was given the boot for two weeks for what is being called insubordination. At first, there was the thought that he was upset about not being promoted to Double A Trenton. However, Brendan Kuty at NJ.com wrote that it was for an “off-field issue the Yankees had already warned him about. The suspension cost Mateo a chance to play in the since-completed Futures Game. The AAA Scranton Wilkes-Barre Railriders steamed into the All-Star Break with an International League-best record of 56-35. They own a four game lead in the North Division and are an astounding 31-14 on the road. Scranton is 7-3 in July, helping them maintain a somewhat comfortable lead despite all but one team in their division being over .500. The Railriders have four players that were selected for Wednesday night’s AAA All-Star Game: Judge, fellow outfielder Ben Gamel, catcher Gary Sanchez and starting pitcher Chad Green. Sanchez also played in the Futures Game, starting behind the plate and going hitless in his two at-bats as his World Squad beat the U.S. team by a score of 11-3. Tyler Austin was once considered one of the top prospects in the Yankees’ system, having been named its Minor League Player of the Year in 2012. However, he has been passed on the depth chart by the likes of Judge, Mateo and Sanchez. Austin, taken in the 13th round of the 2010 Draft from Heritage High School in Conyers, Georgia, has seen time throughout his career at first base, third base and the outfield. He has split 2016 between Trenton and Scranton, hitting .277 with a .371 on-base percentage. Nine of his 13 home runs have come with the Railriders and he owns a total of 61 RBI’s. Austin has played most of the year at first base meaning a September call-up could be in line for him. Right-handed pitcher Yefrey Ramirez made quite the debut for Tampa. He was named the Florida State League Pitcher of the Week for games ending July 3rd by allowing one run over seven innings, walking no one and striking out 11 in a 5-1 victory over Lakeland. The Yanks took the 22-year old Ramirez in the first round of the Rule 5 Draft last December from the Arizona Diamondbacks. He was originally signed by the D-backs as a non-drafted free agent at the age of 17 in January 2011. Prior to his promotion to Tampa, Ramirez was 4-2 with a 2.80 ERA for the Charleston River Dogs. He struck out 66 and walked only 14 in 61 innings pitched.